Yesterday's Women's World Cup final match between the United States of America and defending champions Japan at BC Place in Vancouver, Canada was not only the highest scoring Women's final in the history of the competition, but it also became just the third major senior international final (both men and women) in which 7 goals were scored. It may seem strange that in no other tournament final but two a 4-3, 5-2, 6-1 or a 7-0 score was previously registered, but it's true. The first major international final that had 7 goals scored between the two teams was the 1958 FIFA World Cup final played between Brazil and hosts Sweden at the now demolished Råsunda Stadium. 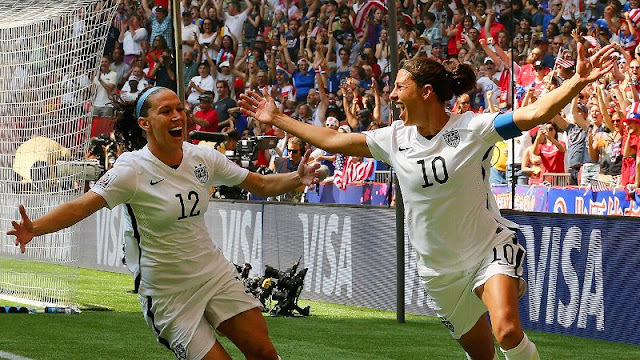 The score was identical to that of yesterday's women's final; a 5-2 final win for Brazil. 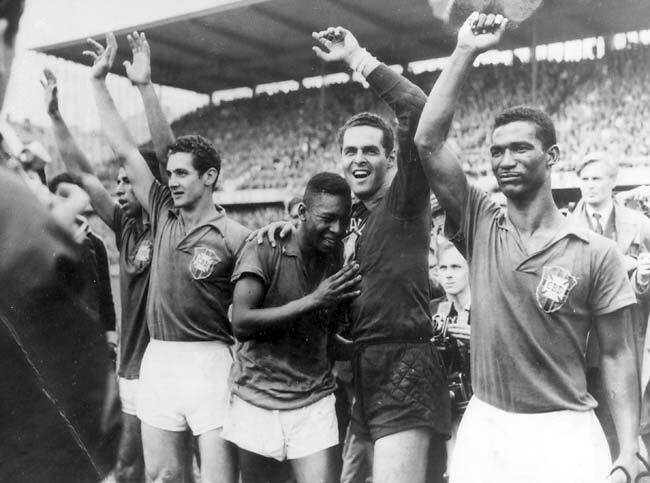 Unlike USA and Japan however, the match on June 29, 1958 did not start favorably for the eventual winners Brazil. It was in fact the hosts that took charge of the match early after going 1-0 up in just the 4th minute. But the Brazilians would answer quickly and often, first tying the match up at 1-1 after 5 minutes and then scoring three more goals before the home side could muster their 2nd and only other goal of the finals. 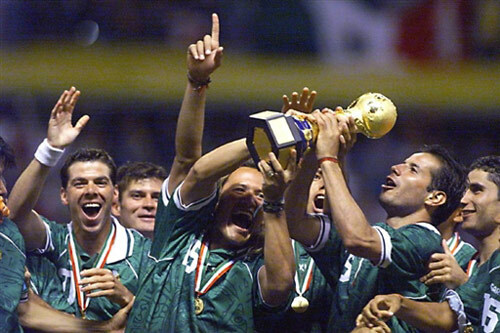 The only other 7 goal final to date was that of the FIFA Confederation Cup Final in 1999 hosted by Mexico. After finishing a top of their respective groups, both the hosts Mexico and previous year's FIFA World Cup finalist Brazil came into the final at the legendary Estadio Azteca full of confidence. The hosts started strong, scoring twice before the 30 minute mark, with the Brazilians managing one before the half with Mexico leading 2-1 after 45 minutes. After the restart Brazil would tie the game up after just 2 minutes, but the Mexicans would score twice more before Brazil's third goal and would go on to win by a 4-3 final. No other major tournament final has been able to produce a final that featured more than 6 goals. The previous highest score at the Women's World Cup final was the four goal 2-2 final that led to a penalty shootouts between Japan and the United States last time around in Germany four years ago. The men's World Cup featured a 6 goal final on three occasions, all ending in identical 4-2 scores. The first ever World Cup in Uruguay 1930 saw the hosts defeat Argentina by a 4-2 final. Eight years later in France, the Italians won against Hungary by the same score, and England's only World Cup title in 1966 was also won by a 4-2 final, although the match actually ended at 2-2 before Three Lions' Geoff Hurst managed to score twice in extra-time. The oldest international tournament the Copa America has never produced a final with more than 4 total goals between the two contenders, although this is likely more due to the fact that between 1916 and 1967 the winning team was that which finished first overall, without a proper final being played. In the CONCACAF gold cup the highest scoring final was that between Mexico and USA in 2009, although a "thriller" would probably not be a correct description for that particular 5-0 Mexico victory. As with the South American tournament, the Euros' and Asian Cup's highest scoring finals also featured a maximum of 4 goals. A 1976 2-2 European final between Czechoslovakia and West Germany saw the Czechs win their first and only final after a 5-3 penalty kick triumph. The other was the most recent final in 2012 hosted in Ukraine, with Spain's thrashing of Italy by a 4-0 final score. As far as Asia goes, their tournament managed a 4 goal final just once, that in 2004 with Japan defeating hosts China by a 3-1 final. The Africa Cup of Nations has produced a 6 goal thriller once, which was quite similar to England's World Cup winning final in 1966. Four years before England's triumph, Ethiopia and the United Arab Republic (today's Egypt) also drew their final match at 2-2, before the hosts (Ethiopia) would go on to score twice in the extra frame and win by a 4-2 final. Last but not least, Oceania's largest victory margin in a tournament final was 6 goals on three occasions (kind of). The first and only clear cut 6 goal final came in 1980 when Australia defeated Tahiti by a 4-2 final score. The second and third were both victories in a finals format that featured a two-legged affair for the tournament final. In 1996 Australia defeated Tahiti by a 6-0 margin, eventually winning the final with an 11-0 aggregate score, and in 2004 it was the Socceroos once more this time defeating Solomon Islands by a 6-0 final in the second leg of the OFC Nations Cup final after having won the first 5-1.